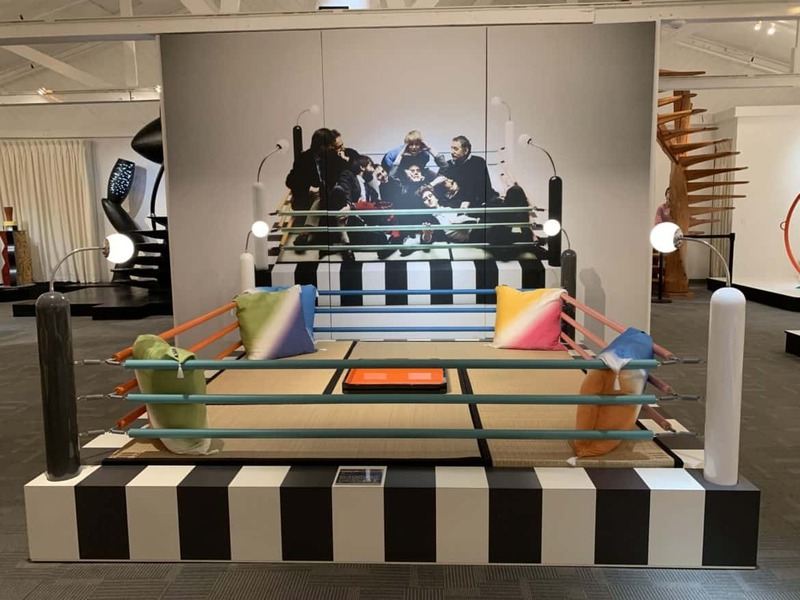 Pictured in this vignette is the Lido Sofa designed in 1982 by Michele De Lucchi for Memphis and the Continental side table designed in 1984 by Michele De Lucchi for Memphis, crafted of laminated wood and plastic. Rug by Nathalie du Pasquier. Photo Credit: The Design Tourist. Both pieces were originally owned by David Bowie. In the 1980s, a decade defined by big hair, loud clothes and MTV, artistic expression was just as over-the-top, attention-getting and bordering the absurd. 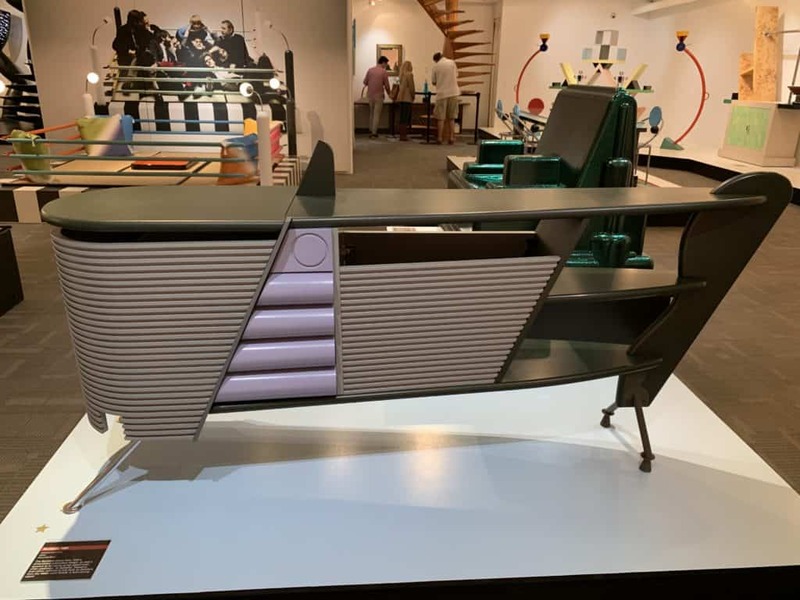 During this time, a group of designers began making powerful postmodern statements almost cartoonish and comical in their aesthetic. 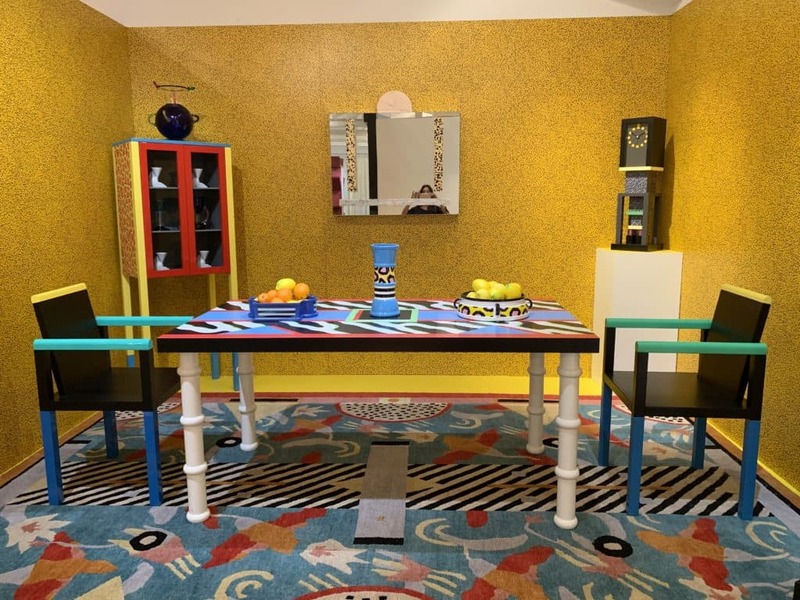 These designers were known as The Memphis Group, brought together by Italian conceptual designer Ettore Sottsass. 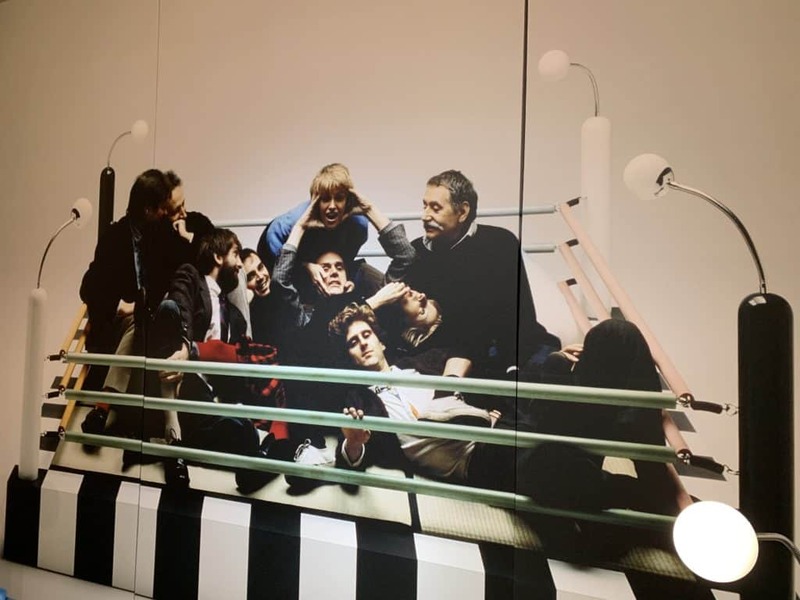 Members of the Memphis Design Group including its founder Ettore Sottsass pictured with the gray mustache. 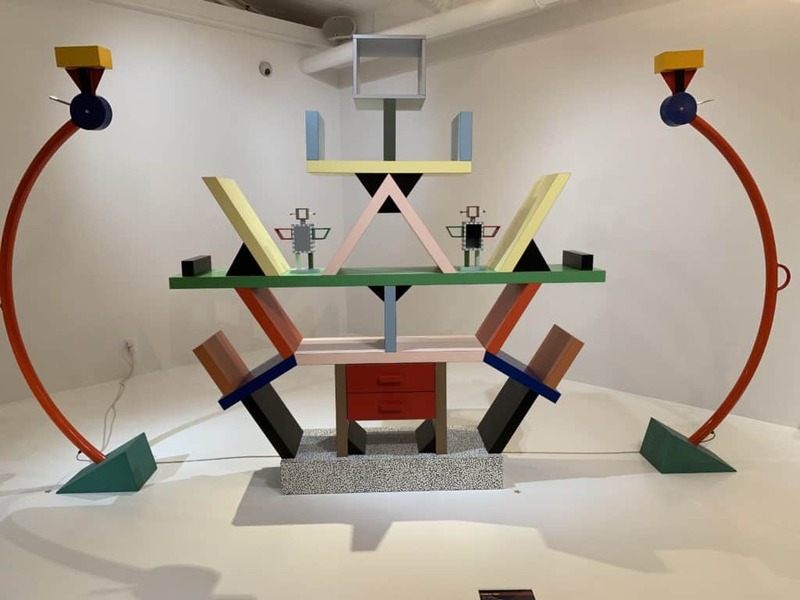 The Memphis Group emulated the design thinking of Sottsass who ignored the opinions of critics to create art and objects that flew in the face of 70s minimalism. 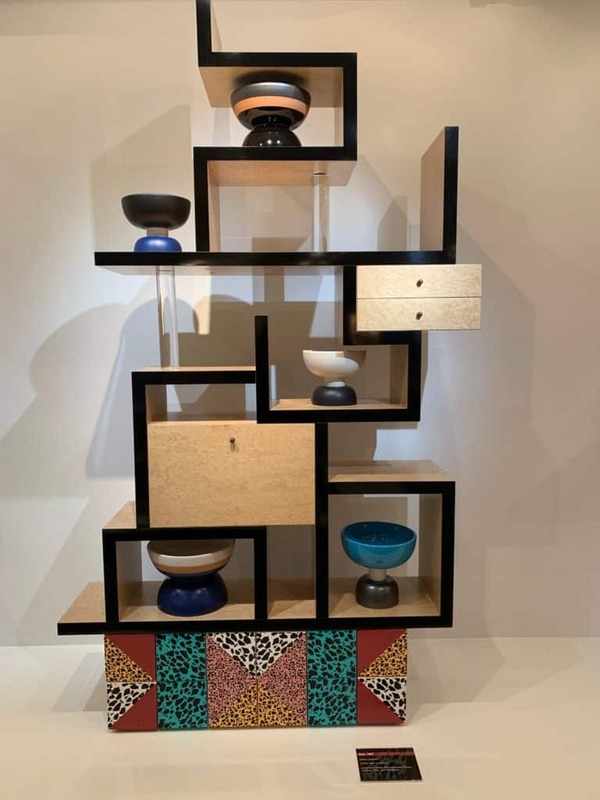 The late musician and pop icon David Bowie was a famous collector of Memphis works, many of which are on exhibit at the Modernism Museum in Mount Dora, Florida. 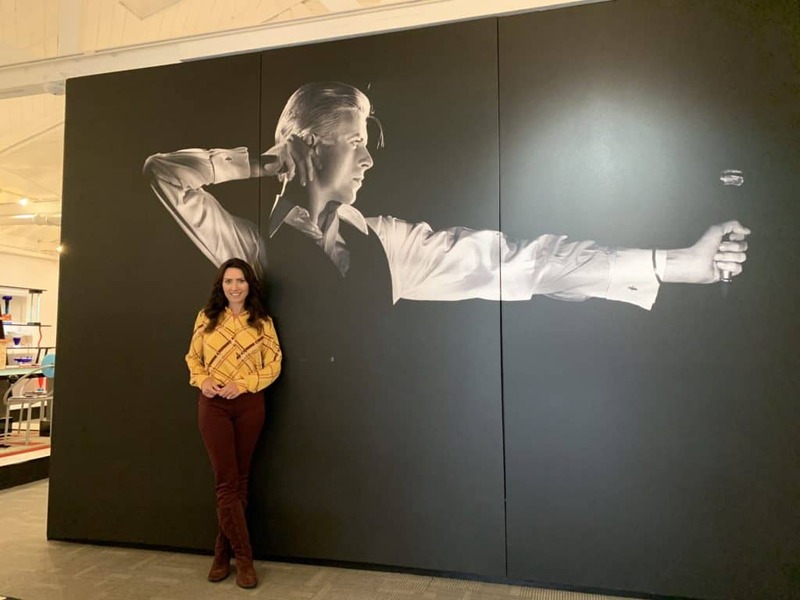 Karen LeBlanc aka The Design Tourist filming a new episode at The Modernism Museum featuring an exhibit of Memphis Design Group Art Objects, many from David Bowie’s private collection. The largest exhibition of Memphis works in an American Museum, the exhibit includes over 75 works. 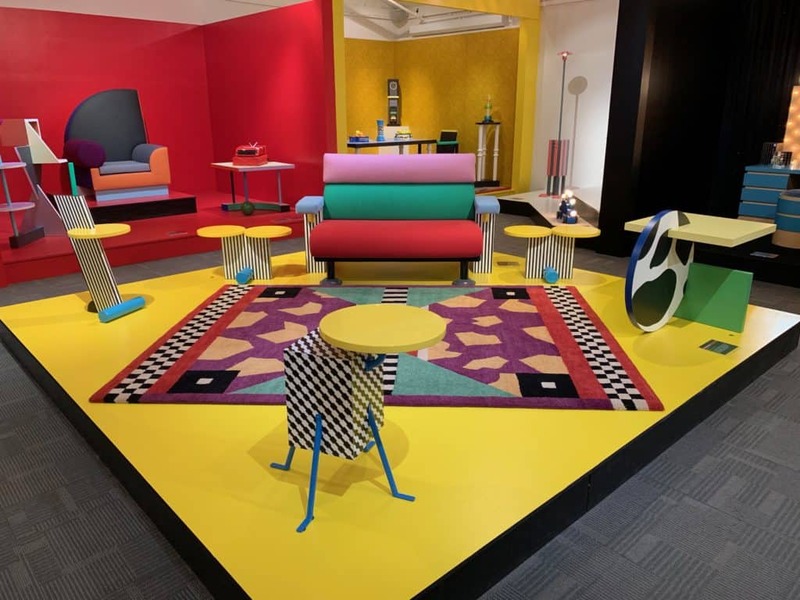 Sottsass was in his 60s when he founded The Memphis Group bringing together young architects and designers with a shared interest in experimenting with unconventional materials and breaking design rules of modernism and classical forms. Their works were humorous, irreverent and often blended high and low culture. The style appropriated modern iconography, infusing it with space-age futurism, nostalgic nods and bold ornamentation. 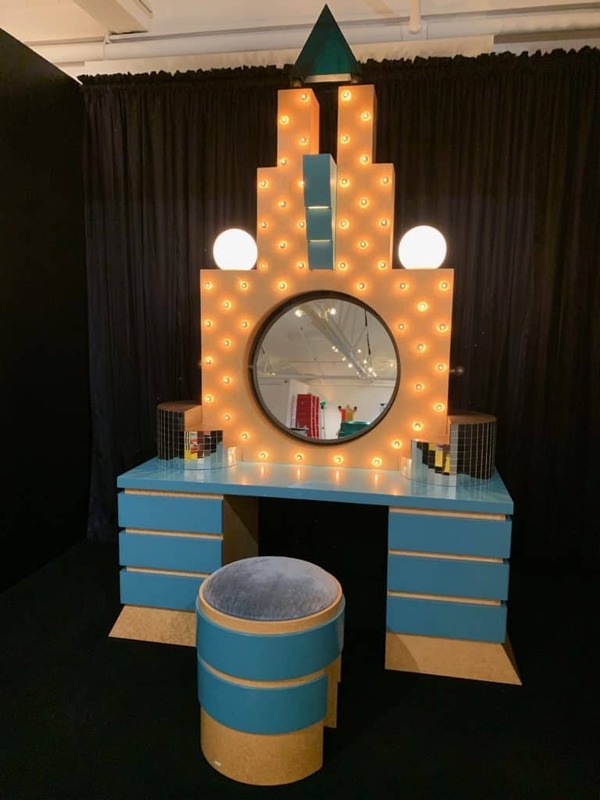 Sottsass collaborators included Martine Bedin, Aldo Cibic, Michele De Lucchi, Matteo Thun and Marco Zanini, George Sowden and Nathalie du Pasquier. 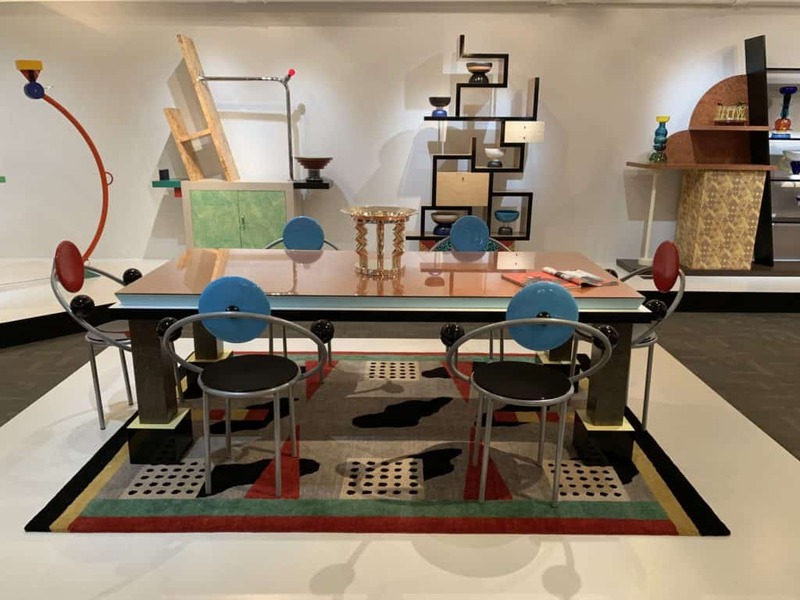 Together they designed furniture, lamps and ceramics that rebuked modernist doctrine and presented their works in an exhibition in 1981 that launched the movement. 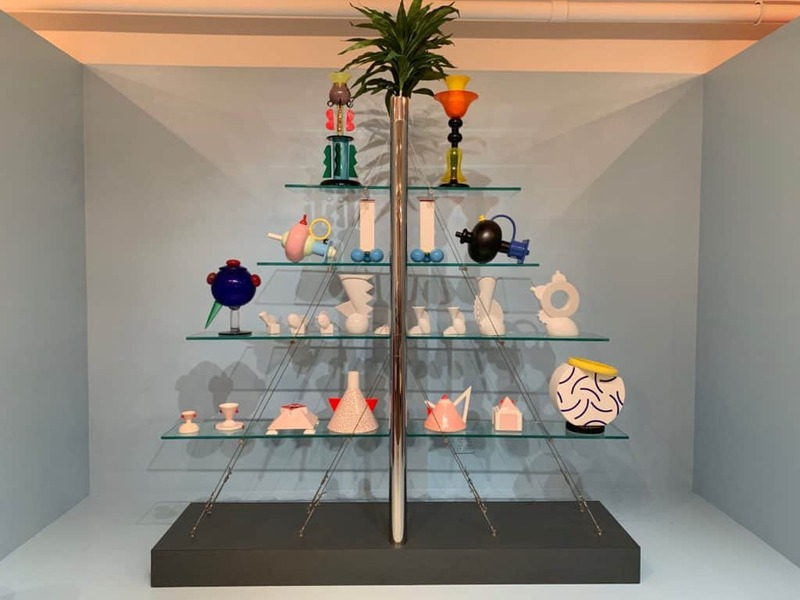 The Memphis Group was both revered and reviled for its kitschy, colorful art objects that transcend the boundary between art and design. 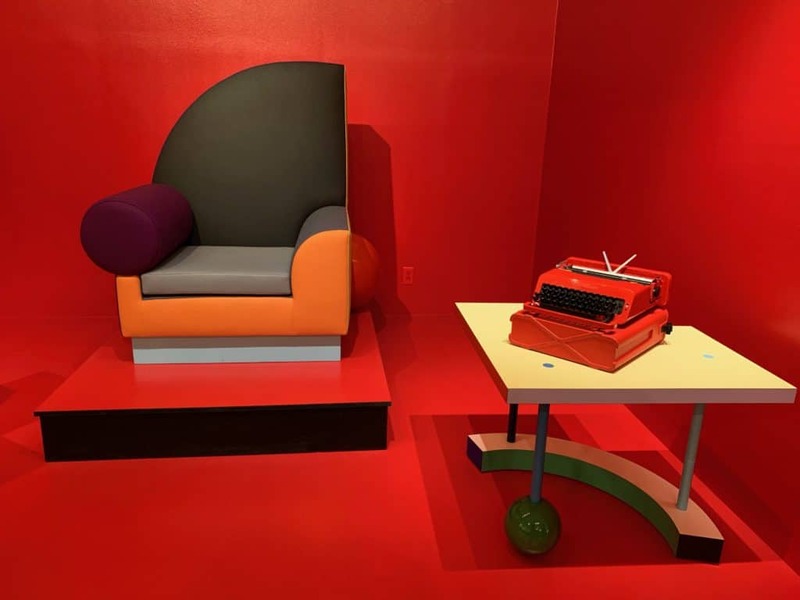 The works resonated in a decade dominated by pop culture’s flamboyant icons—Madonna, Boy George, Micheal Jackson and questionable taste: think neon colored clothing, shoulder pads and purple eyeshadow. 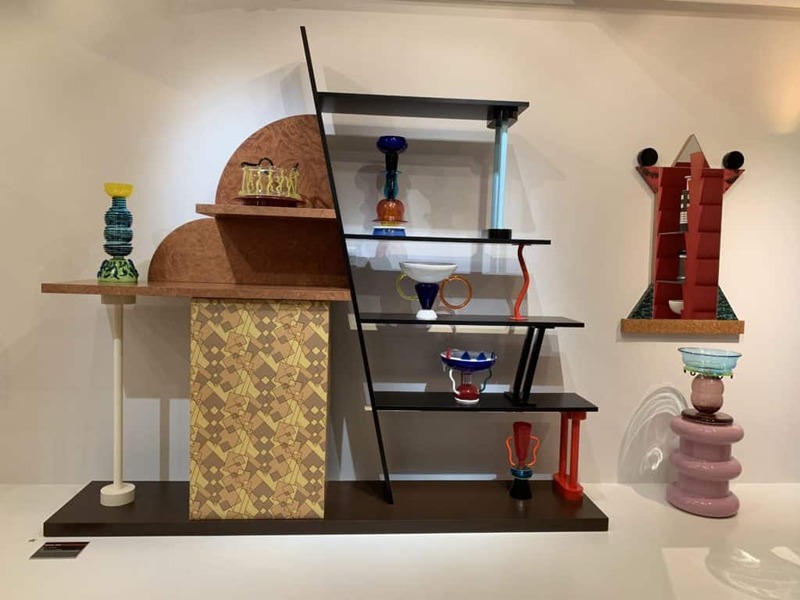 Palm Springs, 1984 by Ettore Sottsass. 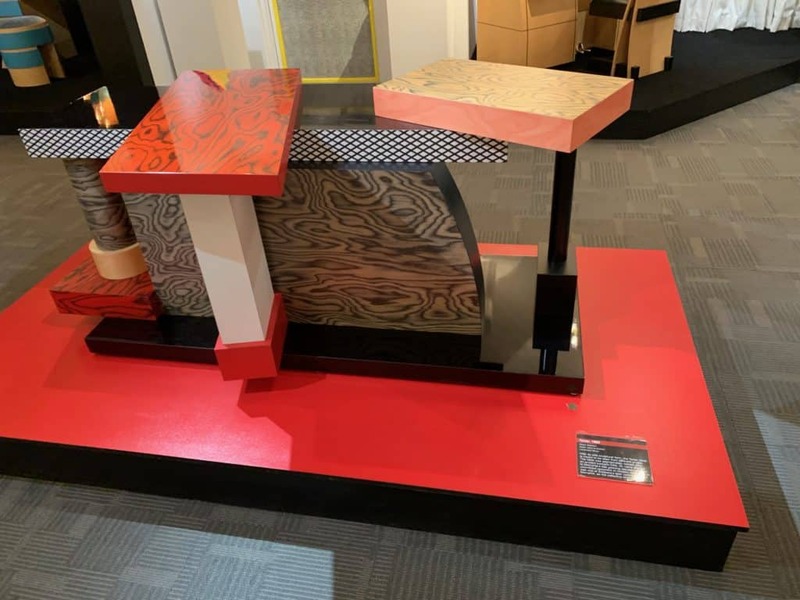 This table from the Memphis Group collection is crafted of wood and laminate with boldly contrasting colors. 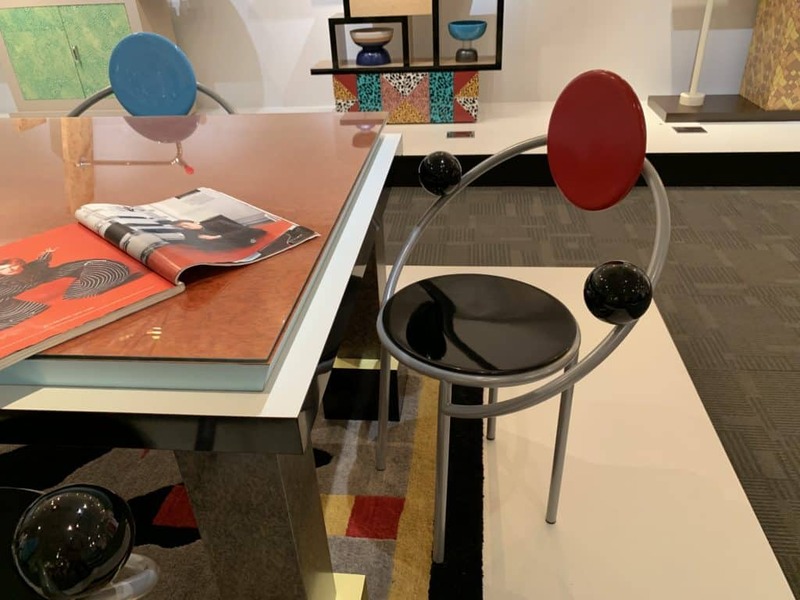 Also pictured are First chairs, 1983 by Michele de Lucchi made of enameled wood and metal. Photo Credit: The Design Tourist. The movement’s shortlived moment in the sun ended in 1985 when Sottsass left Memphis and the group disbanded in 1987. After Bowie’s death, Sotheby’s London sold 100 lots from his art collection in November, 2016. 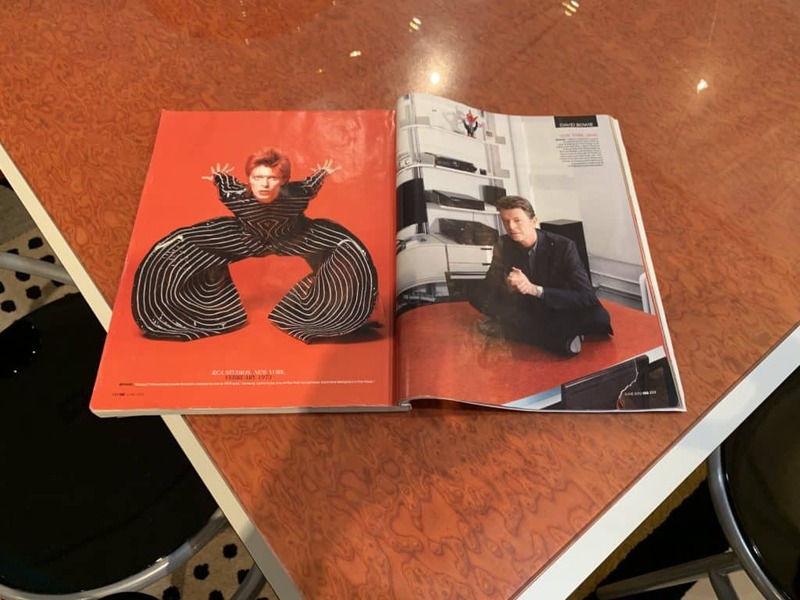 David Bowie pictured sitting on his Palm Springs Table, part of his many Memphis art objects and furniture pieces he collected over this life. 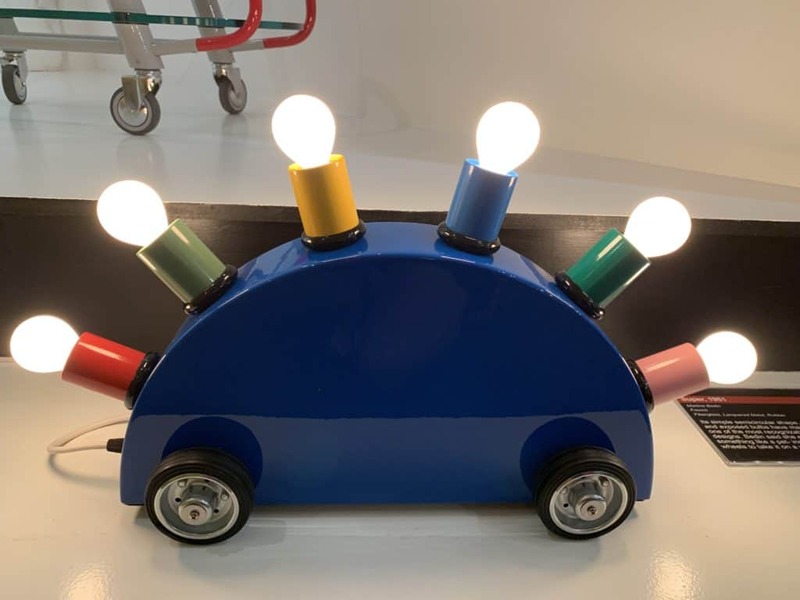 Other famous collectors of the Memphis Group include fashion designer Karl Lagerfeld and Nicholas Ghesquiere, artistic director of Louis Vuitton. Architect and industrial designer Michael Graves continued to evolve many of the Memphis Group ideals through his work as “The Father of Postmodernism Architecture.” Just days before his death in 2015, I had the privilege of visiting Michael Graves at his home in Princeton, New Jersey. 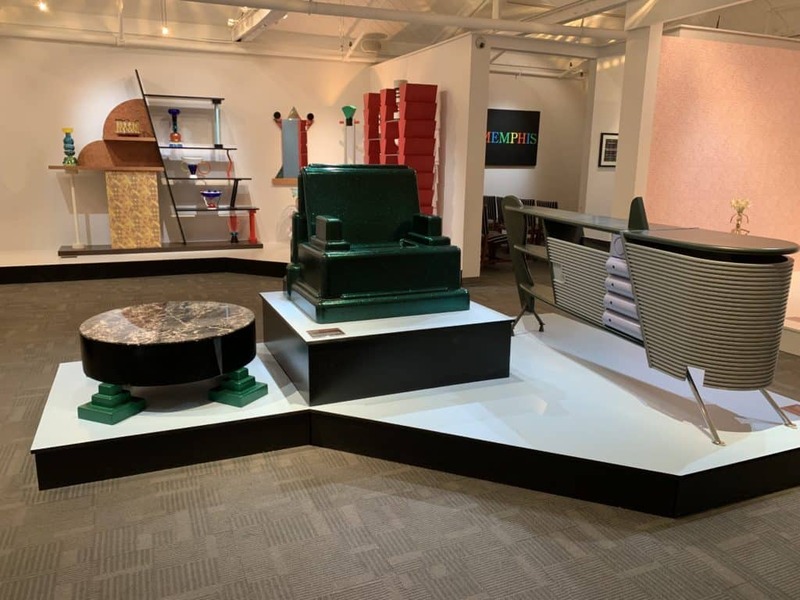 Grave’s signature postmodern design language produced many iconic products over his lifetime and made Target the cool place to shop. I invite you to watch my talk with Michael as he shares thoughts on his legacy and the future of architecture and design.